The dog days of summer are here. Make sure your trailer is ready. The “dog days of summer” bring all kinds of sticky challenges to hauling and using your utility trailer. Beat the heat and keep you and your trailer on the road with some careful preparation and handy tips. If your work trailer is enclosed, consider taking some safety measures to stay cool and safe and don’t over look the hazards of hauling an open trailer in the summer. When your enclosed trailer is also your workplace, keeping your cool is important. As the summer heats up, make sure you don’t overheat. If your trailer is equipped with an air conditioner, give it a through cleaning before firing it up. Check for any bugs, nests, leaves or branches that can restrict air flow – or blow debris all over the interior of your trailer. If the air conditioner has a filter, change it before the heat of summer sets in. If your cargo trailer isn’t equipped with an air conditioner, consider adding a rooftop air conditioner, for the most effective and safest cooling. M&G Trailer Sales and Service offers expert installation of rooftop air conditioning units. When air conditioning is not an option for your enclosed trailer, get ready for the hottest days of summer by adding ventilation. If your trailer is only equipped with a rear gate or doors, consider adding a forward side door for cross ventilation. Add a rooftop vent or side windows that slide open to help expel heat as well as vapors and fumes from overheated chemicals. If your unit is not wired for electricity, consider adding a small solar-powered roof fan. Gas containers and other chemicals in hot trailers can mean trouble. Even if you don’t work in your trailer, storing chemicals in an overheated trailer poses a summer danger. Consider installing exterior racks for the storage of gas or chemical containers and use only fireproof containers in your trailer. Be mindful of rags soaked in gas or other combustible materials inside your trailer. Take the extra precaution of installing a smoke and carbon monoxide detector inside your trailer. Take it from the top to prepare your cargo trailer for the long days of summer. Add a white insulated rubber roof to your trailer. It will add some protection from the heat as well as reflect the harshest of the sun’s rays. If your trailer is black or dark, consider an update to a lighter color. Dark panels may wave and warp and will absorb heat; white panels will reflect the sunlight and keep it cooler. Whether your trailer is enclosed or open, summer is the time to inspect or replace your fire extinguishers. Make sure your fire extinguisher is mounted in a place that makes it easy to access. Heat mixed with friction and sparks are a bad combination for summer. Before summer really heats up, lubricate all metal-on-metal moving parts. Do a careful inspection of the metal components of your trailer; if your trailer has been off the road all winter, metal parts could have rusted and locked up. Now that summer is here, wash off all the winter dirt and grime. Before working through the heat of summer, shake off the build up of winter grunge and, worst of all, salt. Pressure wash your trailer, including the under belly, mud flaps and bed. Getting the last bits of winter salt off will prevent corrosion and keep your trailer looking good for years to come. When the temperature swings wildly from very cold to very hot, it can mean trouble for your tires. Before summer heats up, check the tires on your trailer. If your trailer has been idle all winter, check for signs of dry rot and flat spots. Even though you may have checked the tire pressure over the winter, check again as air expands in the heat and over-inflated tires can be a hazard on the highway. Summer is a great time to call M&G Trailer Sales and Service in Ramsey, Minn., and make a same-day appointment for a summer inspection and checkup for your utility trailer. The full-service department is staffed with maintenance professionals who can keep you safe for the summer. Before heading out with your trailer, scout the areas you’ll be working or playing in, so you can take advantage of Mother Nature’s natural cooling powers. One of the easiest ways to go easy on your hard-working trailer this summer is avoid open areas. Scout around now for shady parking options for your trailer to avoid heat buildup. Remember before using your trailer in the heat of summer, consult the experts at M&G Trailer Sales and Service. Let the service professionals at M&G Trailer Sales add air conditioning, wire your trailer for electricity, check the brakes and suspension, and make sure your trailer is ready for summer fun and work. Even when time is short, Father’s Day can be special for your hard-working, hard-playing Dad. Gifts of elbow grease, e-gifts, and cool accessories can save the day even when you’re short of planning time. Enclosed cargo trailers are prized for their hard-working functionality, hauling everything from mowers to snowmobiles to vintage automobiles, but there are another set of fans who look at cargo trailers and see a blank canvas to be converted into retreats, work-spaces and even party central. Choosing between an open and enclosed trailer to haul your vehicle can come down to cost, ease of use, and maneuverability verses security and convenience. Lighter, flexible, and simple to load, open car haulers are an affordable option, while enclosed car haulers offer safe storage for your vehicles and tools but may be too big and cumbersome for quick jaunts across town. Both styles of car haulers are available in models to carry one or multiple cars and can be customized with options to meet your unique needs, so whether you’re part of an up-and-coming race team, an independent professional car hauler, looking for a way to tote your collectible from show to show, or your race car to the track, there’s a car hauler for you. 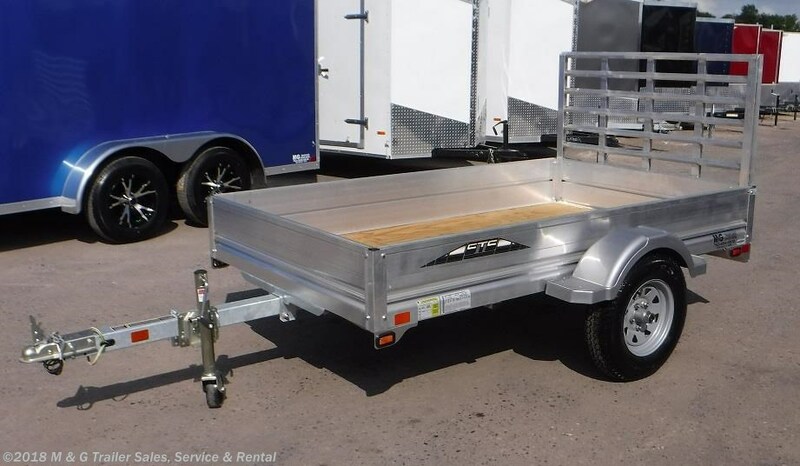 Towing a trailer is no easy feat in itself but if you add to it the need to back up and park, well now you’ve got yourself a challenge. However, with a few basic tips and tricks we can have you backing up and parking that trailer like a pro. When it comes choosing the right utility trailer for your business, recreation or DIY projects, be smart and choose the remarkable value and strength offered by Smart Transport Solutions Utility trailers.